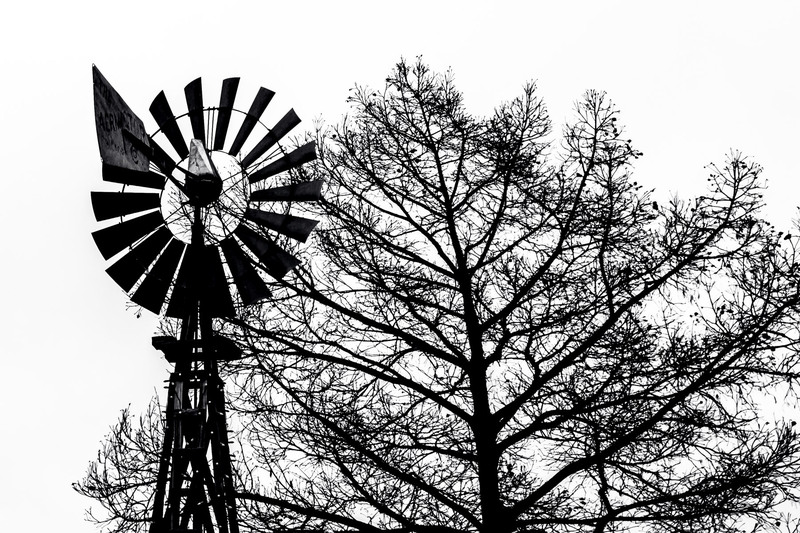 A windmill and a tree are silhouetted by the overcast North Texas sky in Downtown Grapevine. 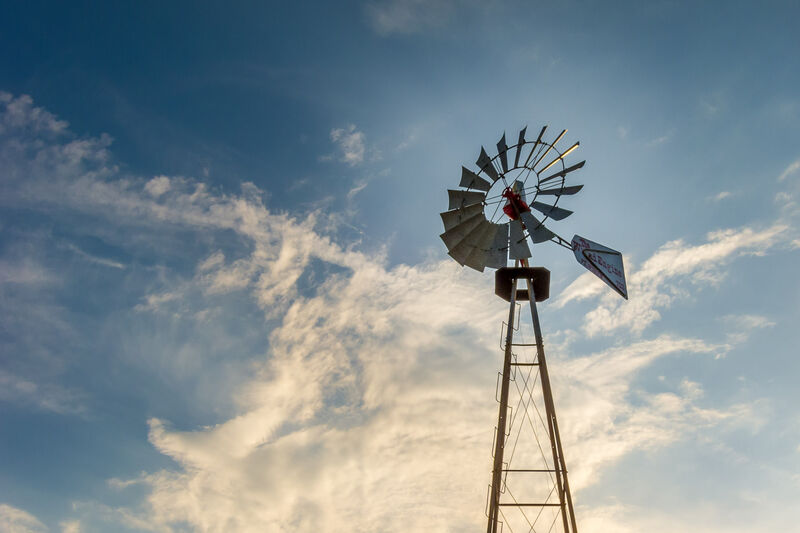 A windmill is backlit by the setting sun at the Addison Conference Centre in Addison, Texas. 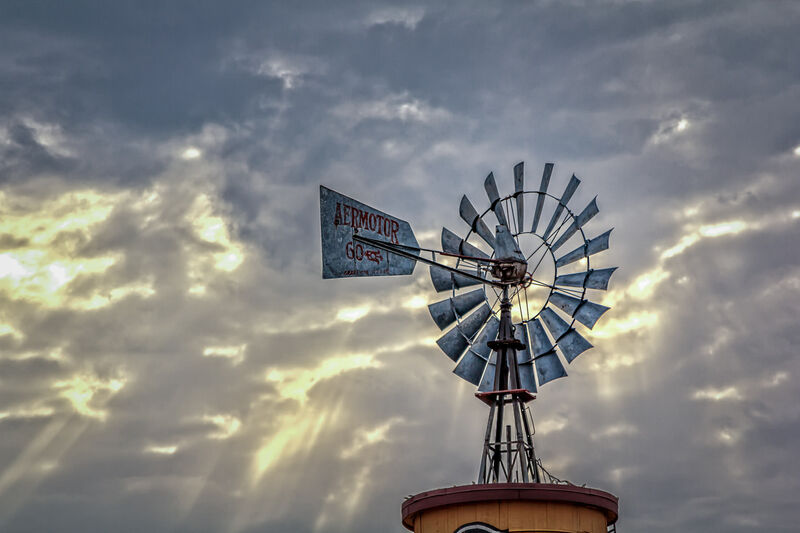 Sun rays pierce the clouds and illuminate a windmill in Downtown Grapevine, Texas. 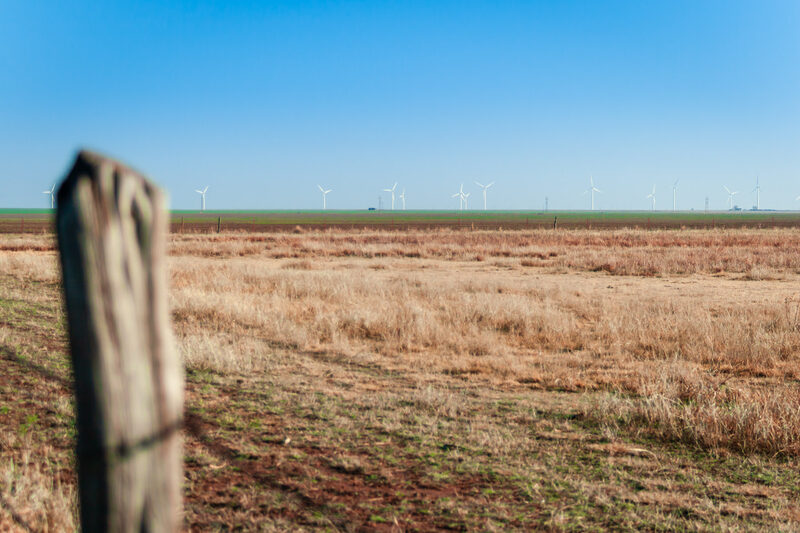 Giant wind generators dot the horizon as the sun rises on the Texas Panhandle. 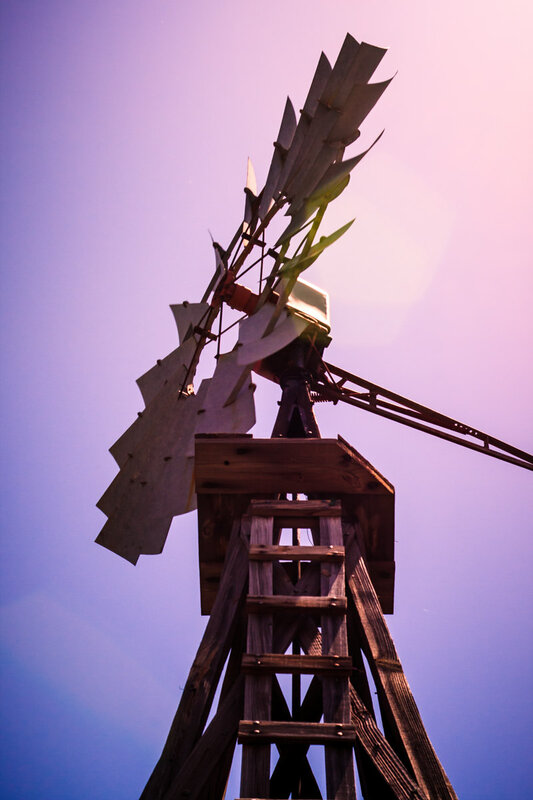 An old windmill in downtown Grapevine, Texas. 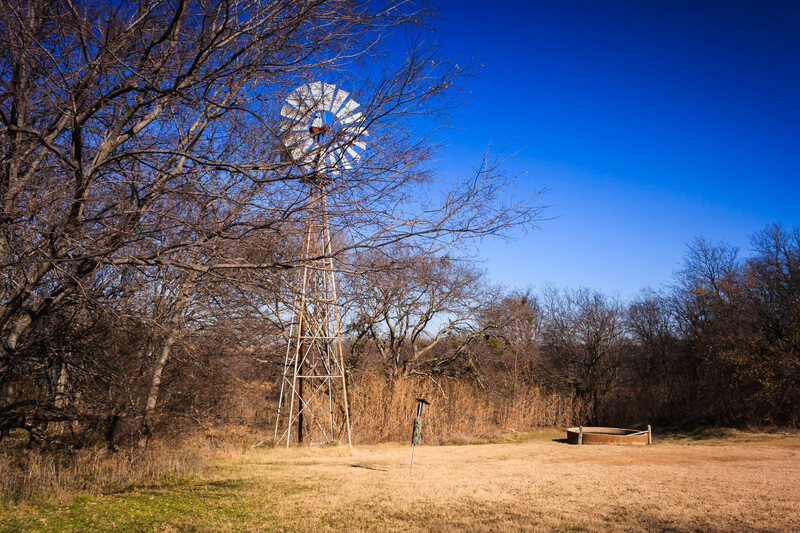 One of the windmills at Penn Farm in Cedar Hill State Park, Texas. 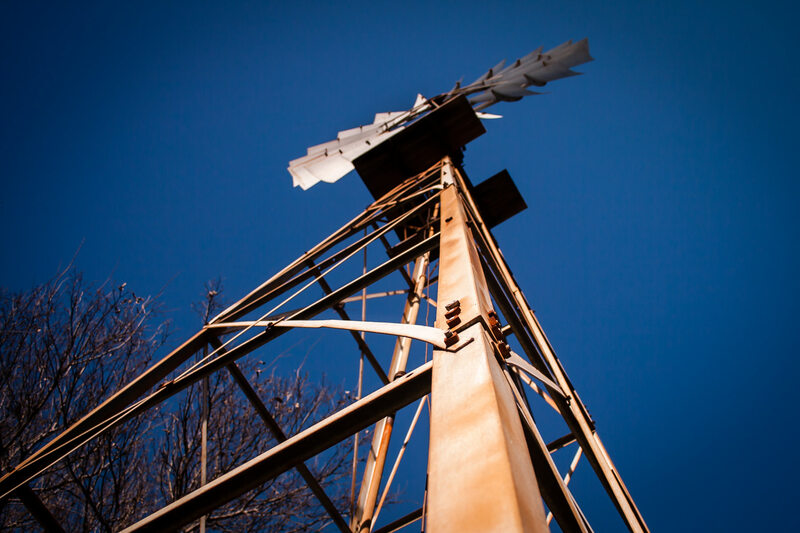 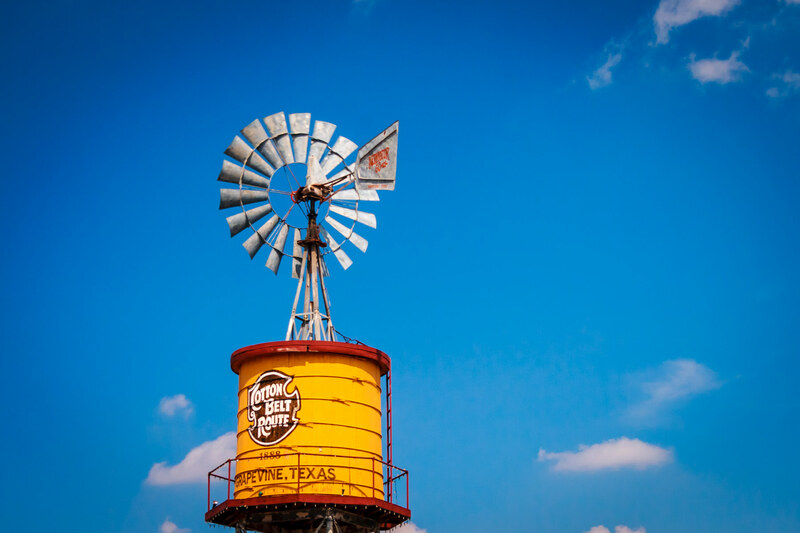 A vintage Cotton Belt Route Aeromotor-brand windmill atop a water tower in Grapevine, Texas.